After reading David Hurn's On Being a Photographer, I got inspired to tackle a photography project. Using his rules: the project would be in my own city, looking at one subject and diving deeply into it. I picked two, tattoos and murals. While both projects have taught me a lot about photography, the mural project really changed how I viewed my images. 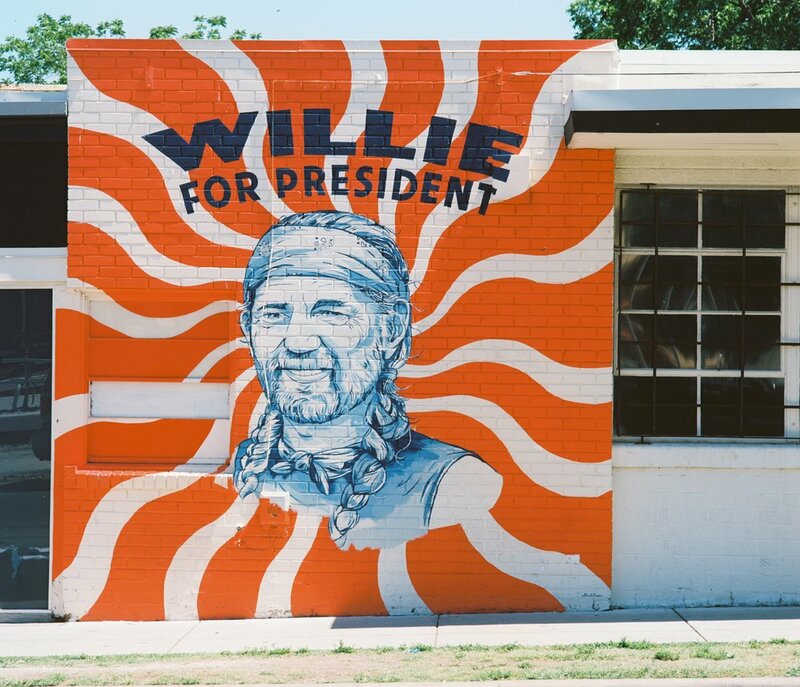 The idea of the mural project was simple, there are bunch of murals in Austin I would go out and document them. It's an accessible project since murals are in public places I wouldn't need any permission to take the photos. Austin is also a hot bed of murals and more great ones were popping up all the time. Recently, I visited Denver I saw that the mural phenomena wasn't just bound to Austin, in neighborhoods that were transitioning from undesirable to "up and coming" you were bound to find some colorful murals. When I posted my pictures of the murals on Instagram I was surprised to see the response was good. Before my page had been a mish-mash of my film experiments and random shots of anything I thought was cool. While this approach sounds pretty normal I was looking to build some sort of cohesion and uniformity to the images. Focusing on just taking images of murals gave my page more structure and recognition. So I went out and took more mural photos and the likes and comments increased. Murals are designed to catch the eye with color and design, so they're a great fit for Instagram. But the deeper I got into the project the harder it became to find murals. Austin has about 10 really famous murals and about a couple hundred other ones that were a lot less recognizable. It's getting into this second tier of murals where things changed for me and the project. As I dug deeper, I started following mural artists to see where the newest murals in town were so I could get new content. 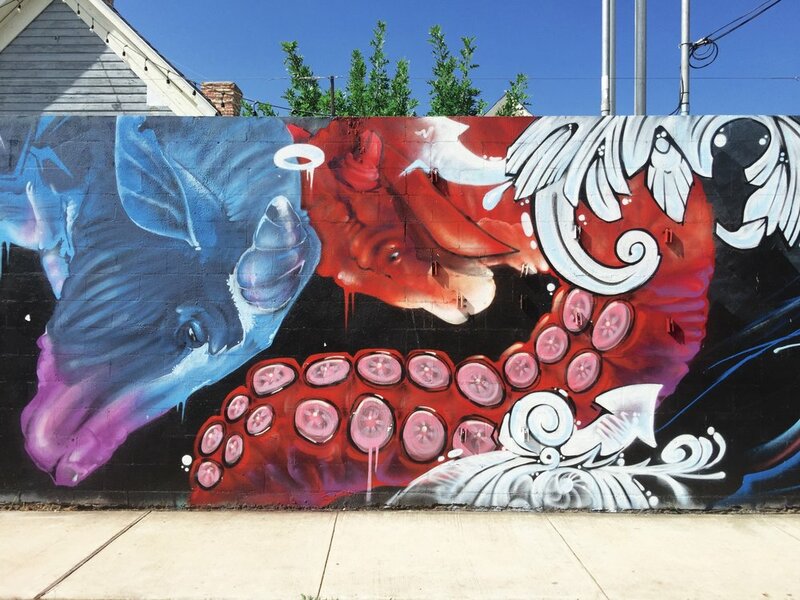 A few months ago, I saw on an artist's Instagram of some new murals he had done behind a tattoo shop. I went a few days later to take my pictures of those same murals with the intent on putting them on Instagram as well. Those images though didn't feel right and still haven't posted them. Why? Well, these artists are extremely talented and the murals they make can take upwards of days and weeks to complete. After they are finished they take a photo to capture and share it. I felt a bit weird to show up at the tail end of their hard work and take my picture to post for likes. I hadn't done anything other than knowing where it was and going there. Of course as a photographer I could most likely take a better image of the mural than the artist, but that didn't feel like it justified it. It still wasn't my work to get credit for. Maybe I'm thinking too much about problem that doesn't really exist. What if they like to have people take pictures of their work and share it? I haven't asked any of them but it did make me think about what I was doing. Was I making my own art or just literally copying others? What next? I plan on taking a few more mural images and then turning them into either a zine or a small book, A Mural Guide to Austin. The work I put into the project was fun and the images are great and should be shared. For the murals that most people don't know it'll help publicize them too. But any ideas of a long term project or passion for mural photography is gone. I'll finish up the series and call it a day. This experience did teach me good lessons. First, people really enjoy colorful and interesting things, it sounds obvious but I was really surprised. I've decided that for the next few month I would focus on taking picture of colors that caught my eye, be it a building, lamp post or coffee cup. It would be a different project and something where the photos would come from my vision and not someone else's. It's also a little vague and will allow me to experiment and not be tied down to one subject matter. Secondly, learning something about yourself isn't always the easiest thing but it's always important to allow things to change you and your vision. While the relationship I have with those mural photos is now different it's taught me some important lessons about how I view art and the relationship I want to have with it.